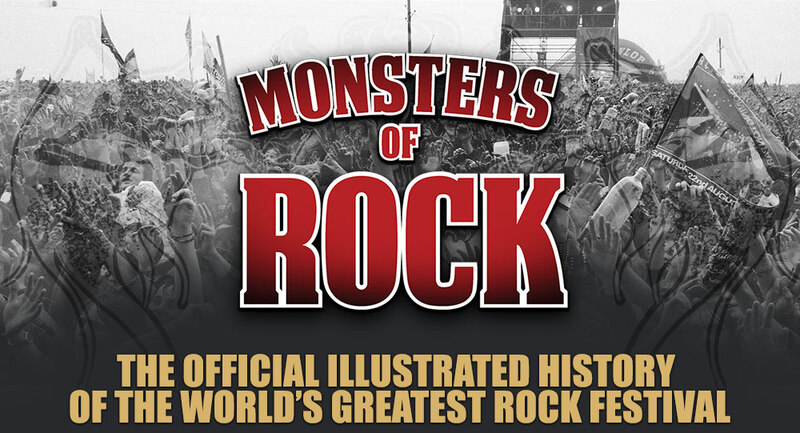 Livenation and Rufus Publications are pleased to announce the publication of the official MONSTERS OF ROCK visual history, Volume 1 of a two part series celebrating the legendary Monsters of Rock Festival and Download. Coming Spring 2019. Written by rock writer and journalist John Tucker, this epic book takes us on a journey from the very first Monsters of Rock in 1980 to the last event in 1996. Measuring 300mm square and featuring hundreds of pages covering each year of the festival with interviews, information, set lists and many never before seen photographs from the archives of rock’s greatest photographers. Two stunning editions will be published including an amazing Signed Full Metal Jacket version, individually signed and numbered by Judas Priest frontman Rob Halford who played at the very first festival in 1980, making this a unique collectors edition. Sign up now for updates, advance release information and special pre-release offers!